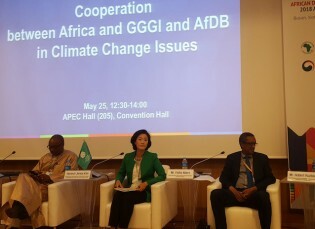 The Global Green Growth Institute (GGGI) presented the African model of a National Financing Vehicle in which the governments of Rwanda and Ethiopia have successfully promoted green growth and climate resilience, at an event May 25 on the sidelines of the annual meetings of the Board of Governors of the African Development Bank (AfDB) in Busan, South Korea. The world has been too slow in responding to climate events such as El Niño and La Niña, and those who are the “least responsible are the ones suffering most”, Mary Robinson, the special envoy on El Niño and Climate, told IPS at the United Nations Climate Change Conference in Marrakech (COP22). “The rain was our nemesis as well as our saviour,” says Kanniappan, recalling the first week of December 2015 when Chennai was flooded.